Where does it go? The time that is, it’s the middle of October already and I’m not sure how we got here already and a lot has happened since I last wrote and some bits haven’t happened that we hoped might of. As I type this storm Ophelia is gusting through strongly so I doubt I will hear the local Tawny owl or Little owl(s) calling this evening. Even though the monitoring season has finished for 2017, but if you are like us at Raptor Aid, we are constantly out looking and listening for signs of birds of prey to monitor and document and one species locally that we have slowly uncovered is the Little owl. Over the last year despite living in this village for 20 years I have managed to locate 5 territorial pairs, 3 of which I know have produced chicks in the last year. 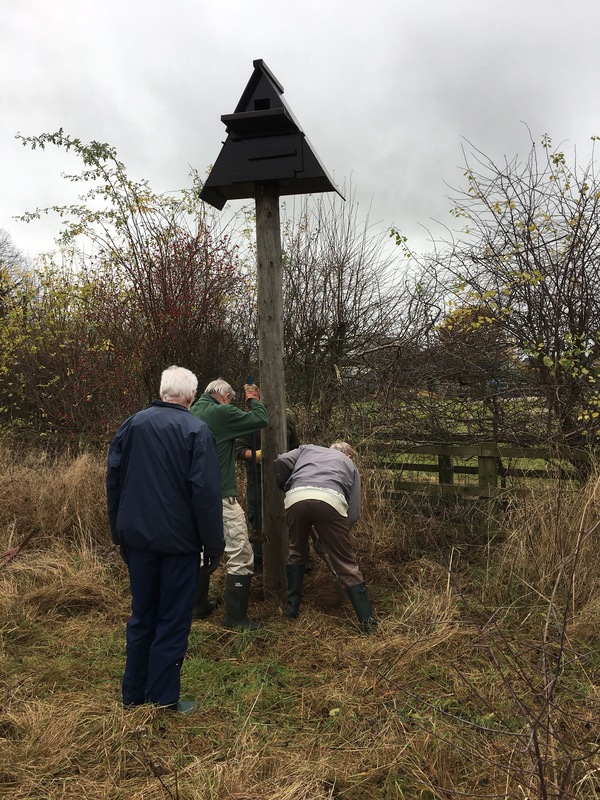 Autumn and Winter is the time to get out and check, repair or replace nest boxes so we will be getting round as many as possible. 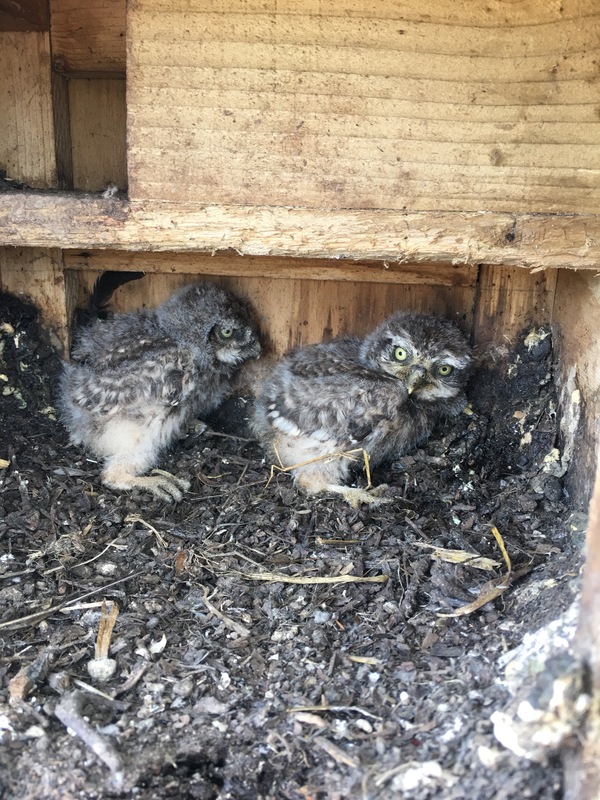 We have the local pairs of Little owls to provide nest boxes for but also several of our Barn owl boxes need replacing which is no mean feat as they are hefty boxes and some a decent walk to. 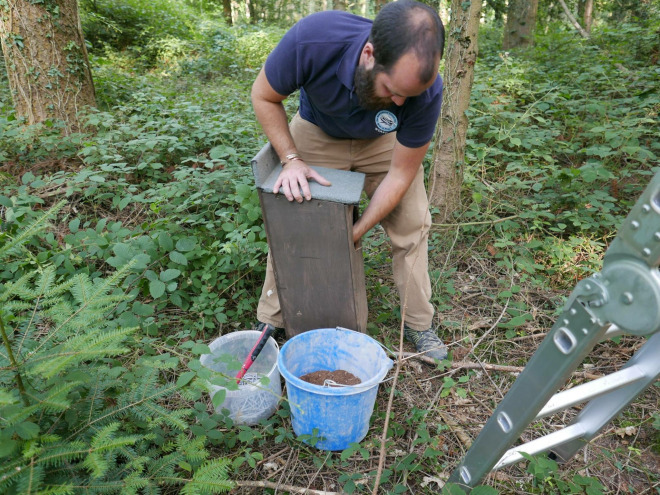 Tawny owl boxes will need to be checked for the usual squirrel damage and to evict any leftover drey’s ready for prospecting or returning birds. Don’t worry if you don’t get to clean a box out, Tawny owls are hardy birds and will easily displace a tough mammal like a squirrel if they want to use the box but try not to visit Tawny owl boxes after January in case you disturb and scare off a Tawny owl planning on using the box. The persecution for birds of prey sadly takes place closer to home and anyone who has read this page before will be aware of the ongoing illegal persecution of raptors in the UK. This hasn’t subsided with more cases of direct persecution coming to light over the last couple of months including shot Peregrines and Buzzards. Just as shocking is Natural England’s continued lack of transparency in the Satellite tagging of Hen Harriers in Britain. Due to increased pressure details have just been released with figures of how many harriers were tagged between 2002 – 2017 and their current status. Since the release of this report of the 158 Hen harriers tagged only 6 are still definitely known to be alive, some may argue don’t raptors have a high fatality rate as juveniles but it smells a bit strange that most of these birds have vanished off the radar completely? What might be a bit more telling if we were allowed to see where these birds we found dead or where there last fixes were transmitted from? Plotted on a map might give us a clue on what is really happening to these birds but why don’t you have a read of the ever fantastic blog Raptor Persecution UK and make up your own mind. We have been busy with the captive birds which has meant sadly we couldn’t make it out to India or the Philippines for a conference. We also had a wild Peregrine in for rehab that had fallen from a nest and damaged its wing. We got the bird flying free and she was slowly getting fitter but then out of the blue she took a turn for the worse due to a respiratory condition that the vets couldn’t help her and she had to be euthanised. It was an incredibly sad end but what annoyed me most about this case was a couple of peoples narrow views and lack of trust regarding the keeping of a wild bird in captivity for rehab and using falconry techniques to get it better. I’m not against peoples opinions of animals in captivity BUT when someone is spending time, money, extensive knowledge and contacts to get a bird better and for release its a little frustrating when it is all questioned and you get squeezed on releasing the bird before it even fit enough to survive. 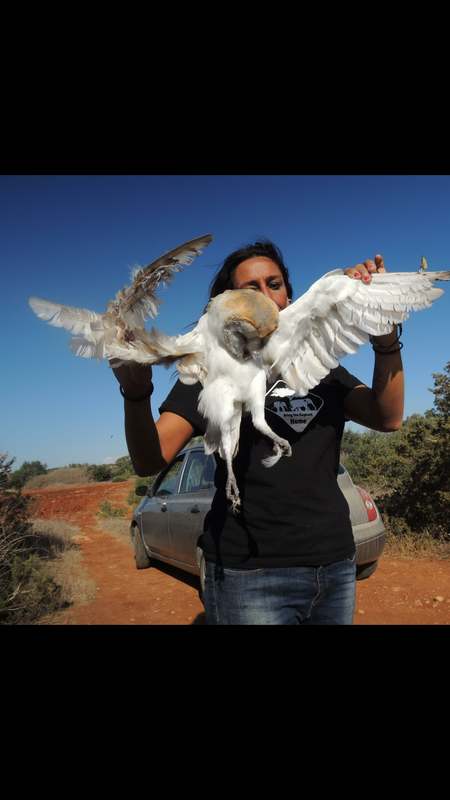 There is probably a whole other guest blog by friends who spend 365 days doing an incredible job rehabbing wildlife and our raptors in particular – I’ll add it to the list. The charitable status is still on going but we are very close to sending the application off to the Charities Commission and this is down to the fantastic work of one of our trustee’s. We really can’t thank him enough! Its a bit of a lifelong dream to be involved in the creation of something that will benefit birds of prey hopefully on a global scale for many years to come and we have so much planned once the charitable status is signed off – fingers crossed of course! We will be moving away from working directly with captive birds of prey to focus on conservation and also the current issues faced by captive raptors in the UK. Watch this space! Going forward we are involved in yet another raptor study group initiative with the re birth of the Cheshire group. I am young enough not to have been about for the first birth and now a friend has decided it would be good to bring it back. I personally felt a bit hesitant as I know the incredible hard work that goes on behind the scenes of the Gloucestershire Raptor Monitoring Group but I think the county needs a central point for data collection, brain storming and support for future raptor field workers. 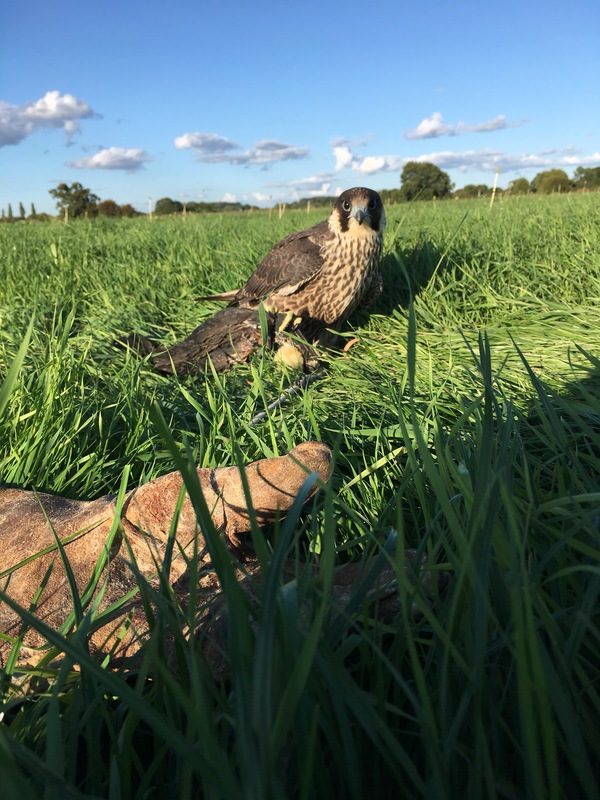 The first meeting takes place in November so if you’re from Cheshire and want to be involved or need help finding your own local raptor study group just drop us a message. On the subject of the Gloucestershire RSG, this year we were involved in a very exciting film project with the award winning author Helen McDonald and a follow up programme for her best selling award winning book H is for Hawk. There are hundreds of reviews online if you’ve not read or heard of the book but 10 years on from the passing away of Helen’s father the BBC Natural World series wanted to produce a follow up one hour documentary on Helen with a new Goshawk. This also included the filming of a wild Goshawk nest, GRMG members played a pivotal role helping the camera men get stunning shots of displaying Goshawks but also access to the elusive birds nest which they filmed from incubation through to fledgling chicks! The filming of the nest was by a bit of a hero of mine, James Aldred a wildlife camera man and tree climbing expert for the BBC, this guy has climbed some insane trees all over the world including Orang Utans in Borneo and Harpy Eagles in South America – he has a book out now titled ‘the man who climbs trees’ and its a great read! So the filming and editing is all done and you may spot a certain Raptor Aid man climbing the tree to the Goshawk nest to lower them down to Helen McDonald and our good friend and Goshawk guru Robin for ringing. It was great to work with Helen again and be part of the production the programme air’s on BBC 2 this Thursday (19th) @ 9 pm. OK that’s enough for this blog! We hope you’re all well and thanks for reading and remember just because the nights are drawing in doesn’t mean you can’t still see your local raptors! Only the other day we watched two juvenile Peregrines playing, a male Sparrowhawk hunting a hedgerow and a Kestrel hunting a field margin – it’s a great time to watch stuff!